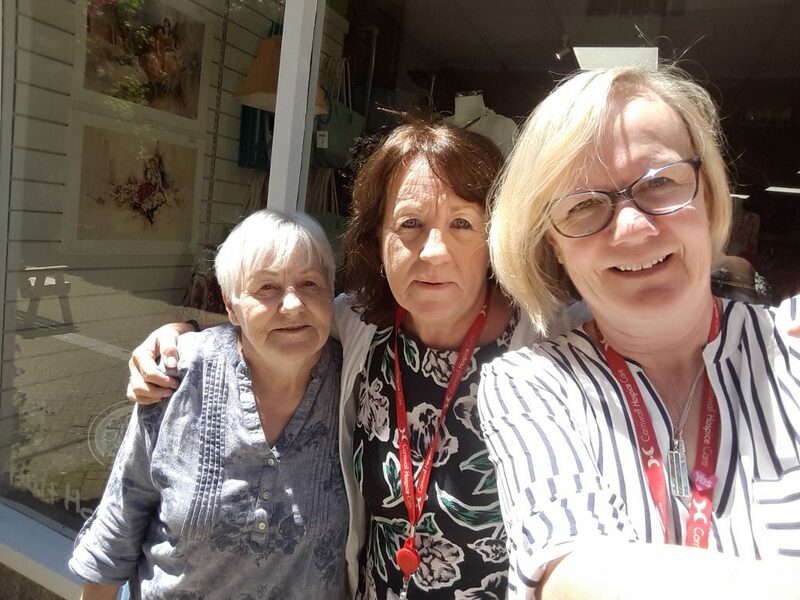 Picture (from left to right) volunteer Maddie, Shop Manager Jan and Tamsin outside the charity’s Liskeard shop. 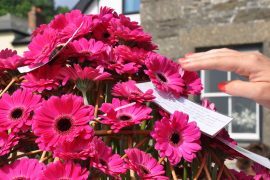 Growing up in the tiny village of Polruan meant a visit to Liskeard was a big day out. Dad often took us to the weekly farmers market and as teenagers we went partying in the Carlton. As a BBC reporter I stood outside Webb’s Hotel waiting for the general election candidates for the south-east Cornwall seat, to appear on the balcony for the final declaration. One year I found myself having to announce the candidate for the Rubber Gloves Party on national radio! Our relatively new Liskeard shop is in Fore Street and bathed in sunshine for my visit. With the fascinating facades of the shops opposite, it’s a lovely area and on a day like this it could be on any café culture Mediterranean road. I believe the atmosphere in shops is created by the people who work there and Jan provides me with a warm welcome that sets the scene for what would become a thoroughly enjoyable day. After dealing with a small Wi-Fi issue I start by sorting already steamed clothes to go downstairs to the shop floor, before steaming the next batch. Busily working around me is volunteer Stewart who sorts books and jigsaws at lightning speed. “We always need volunteers” says Jan before heading out to the bank, “there’s quite a turnaround of them as they find paid jobs, get older or retire, but we have got several new ones.” One of them is Janet who’s downstairs getting to grips with the till. “This is my third week and though I’m nervous about the till I’m getting there. I just hope I don’t forget what I’ve learnt this week before I come back next week!” Janet tells me she offered to volunteer because we are a good local cause. The afternoon races by in a comforting and enjoyable flurry of jobs and random chats with customers, I even serve people giving apologies for my hesitancy around the till. Call me old fashioned, but I still love the high street and I certainly Love Liskeard! Would you like to join the volunteer team supporting our Liskeard shop?